Time to catch up a bit. Between lack of connectivity and my cold the blog has taken a bit of a hit. 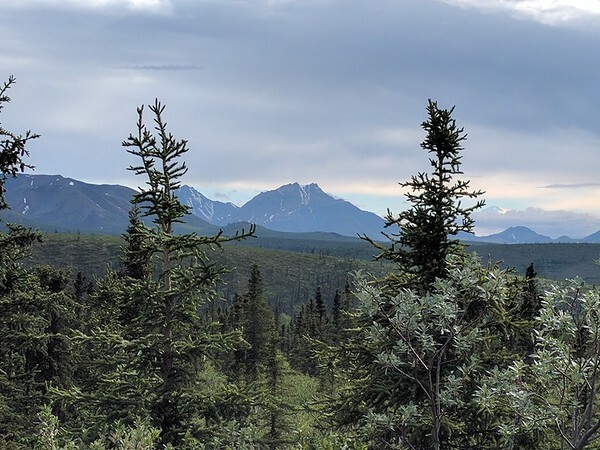 But we are now in Denali for 5 nights in a wooded site in the Riley Campground. But let’s back up to the top of the world highway. 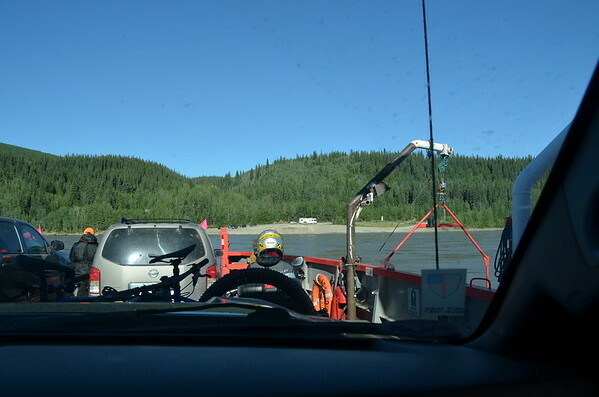 We got out of our camp site in Dawson City at around 0730 to get to the ferry across the Yukon River. We weren’t first in line! 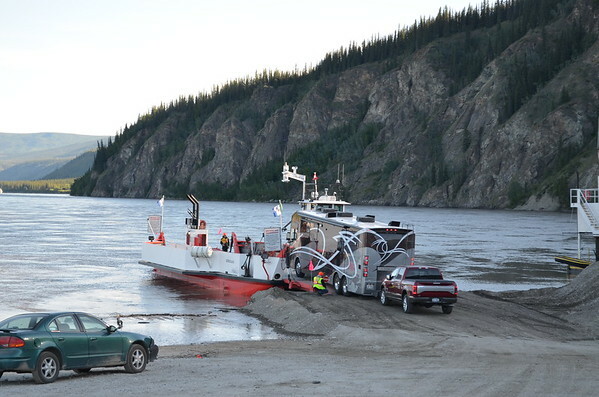 It takes a while to get across when the ferry can only take one bus at a time. We waited about an hour for our turn. 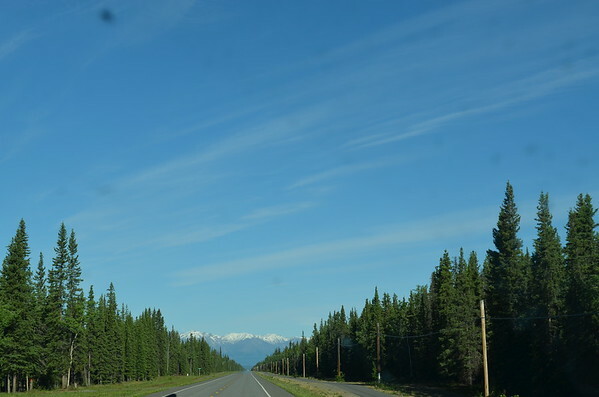 Once across the Yukon we began the climb to the Top of the World Highway. The road was in surprisingly good condition and views from up top were spectacular. Photos simply can’t capture the views of the mountains but this is a sample. The views are spectacular. 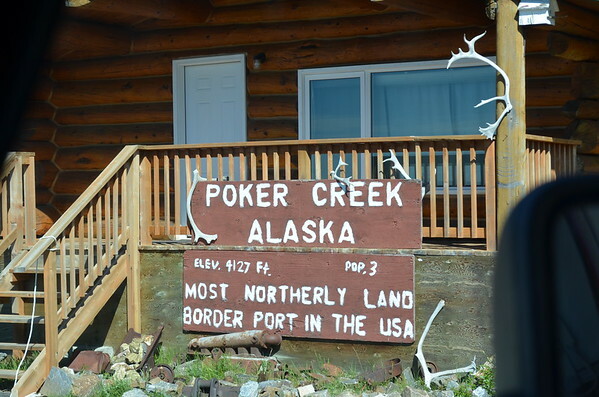 Finally we can see Alaska and the border crossing. And we are finally in Alaska (and back in the USA). The customs and border control folks were very pleasant. They rotate shifts up here. 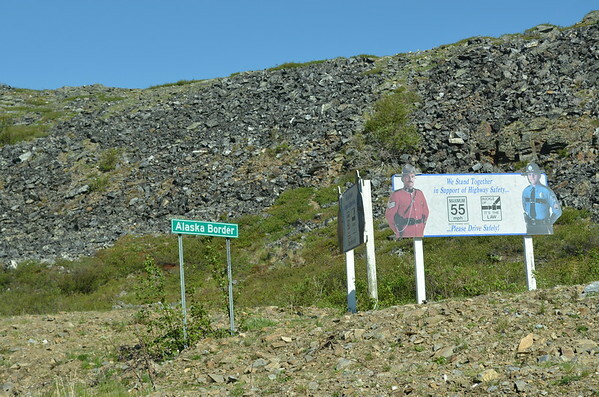 Our agent lives in Anchorage but rotates assignments to this outpost along with other agents. What we didn’t realize was that the worst of the highway was yet to come. We went from the well maintained Top of the World Highway to a narrow winding road with 1,000 foot drop offs on one side and hills on the other. 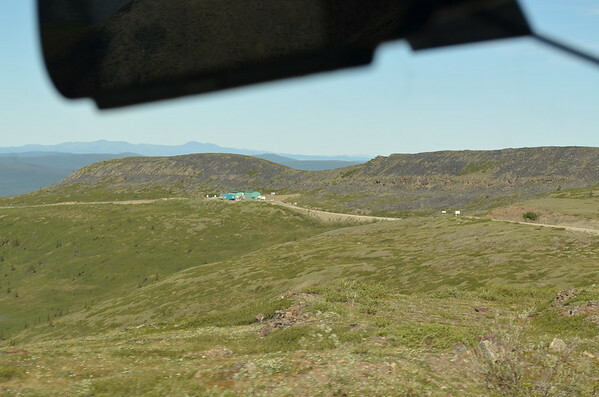 It is hard to capture but this is looking down over the edge of the narrow dirt road. You don’t want to look if you have vertigo. 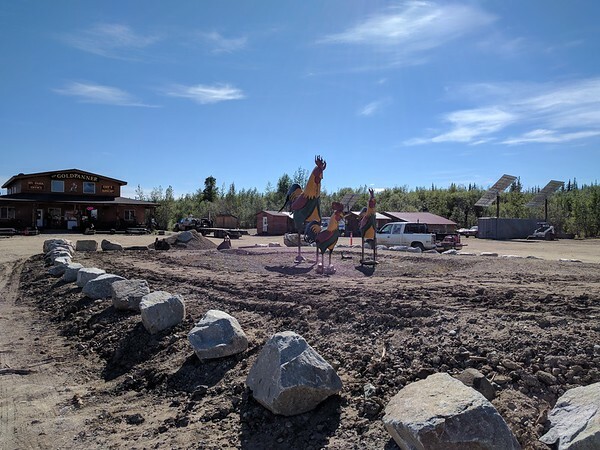 The road was also under construction and we had to wait outside of Chicken for them to dump gravel and roll it to make the road passable. Chickens in Chicken, AK This was the attraction in Chicken. From Chicken to Tok was a much better drive. The road had a few bumps but at least it was paved. 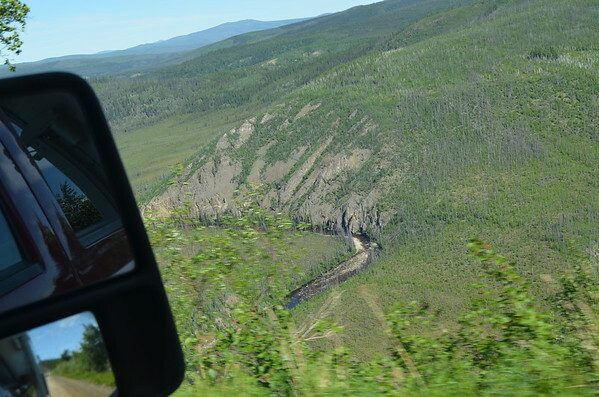 The closer we got to Tok the better the road got. 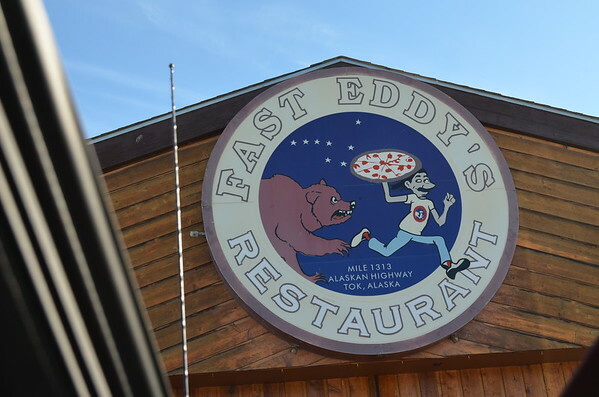 We had to stop at Fast Eddy’s for coffee. The place is a popular stop and it was busy when we arrived. Everywhere you look there are great views of snow capped mountains. 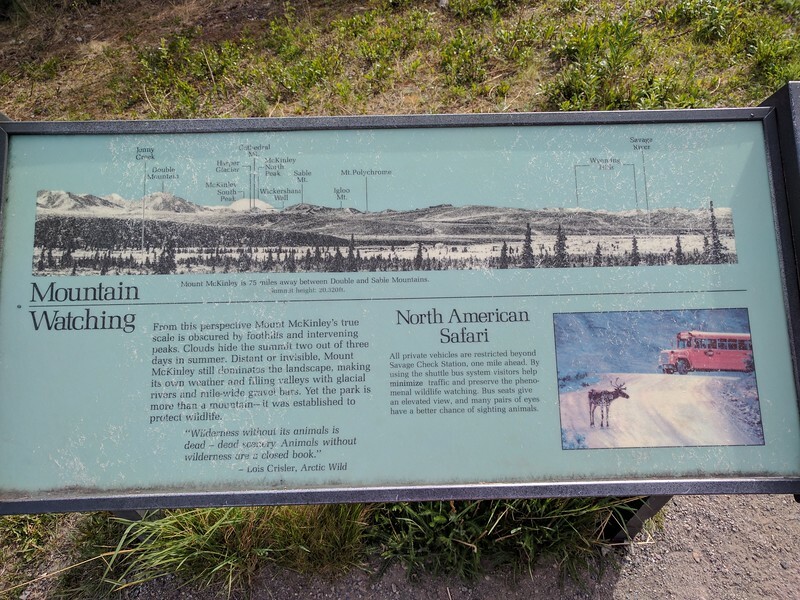 We arrived at Denali around 0930 and picked out a site. 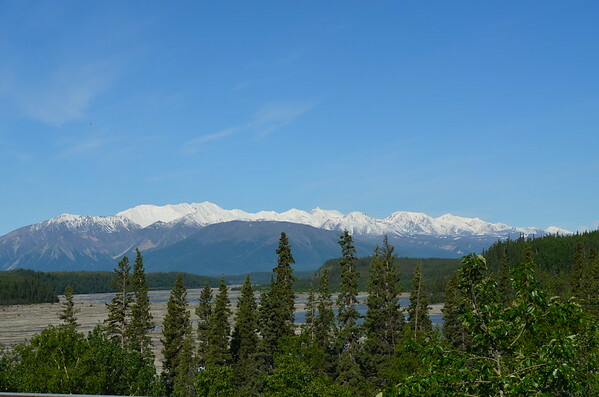 After a birthday dinner for Helen at The Bake we drove up to the topof the campground and got a good look at Denali – a rare day with no clouds obscuring the peak. We are not settled in for 5 days and hope to do some biking, hiking and touring. 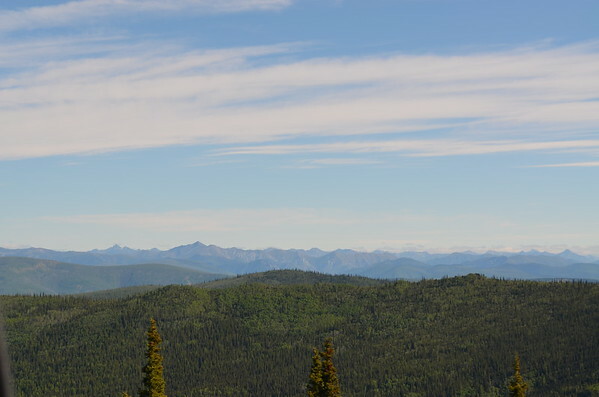 Denali, both peaks in full view.